You are currently browsing the category archive for the ‘Art Photography’ category. I have just returned from one of the best vacations that Dan & I have shared together. 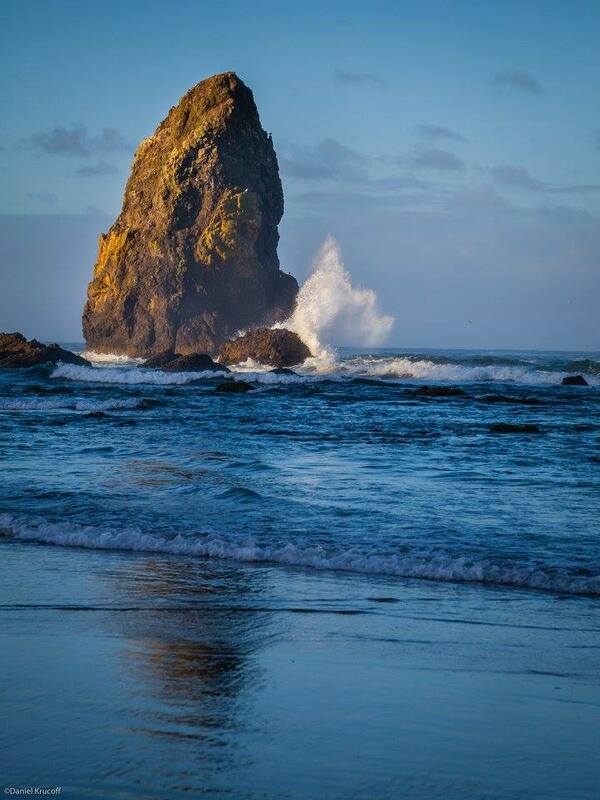 The Pacific Northwest has such diverse areas of beauty that we are more than enamored by what it has to offer. I can easily see us transitioning there if the opportunity presents itself. Whenever we travel, photography becomes a huge part of the journey. Dan captures breathtaking scenes. I hunt for the obscure in hopes that it may find its way into my work. One of the true joys we experience on these photo safaris is finding those glimpses of life that may be missed if we just hurried along the trails. 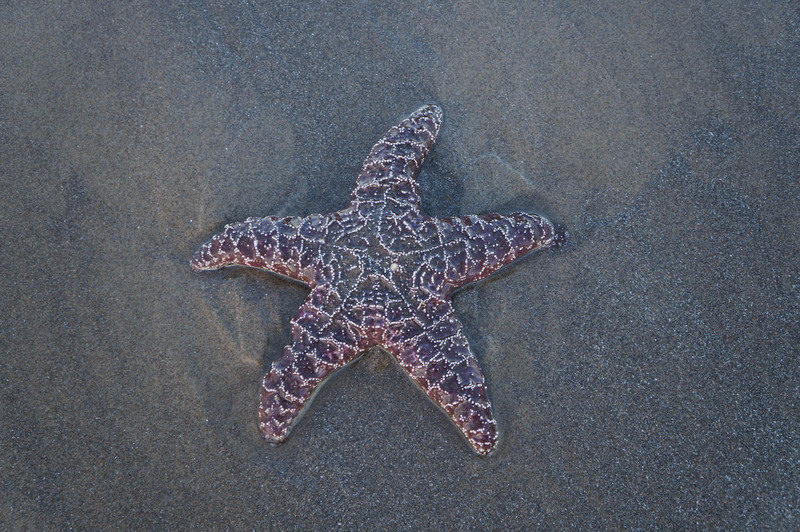 This star fish was a pleasant surprise during one of our morning walks on the beach. A young man found it was still alive and returned it to the sea. 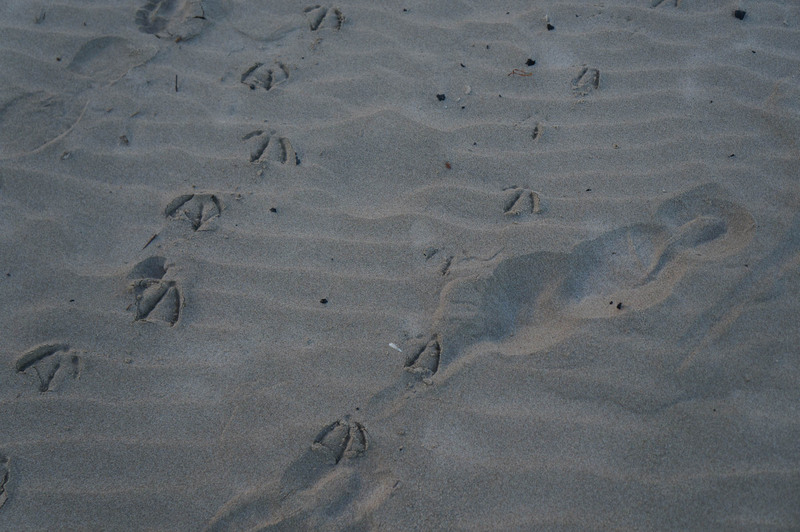 Seeing the gull tracks in the sand was interesting to me. Every morning the wind swept sand revealed a new set of tracks. I liked thinking about how they could symbolize our journeys. 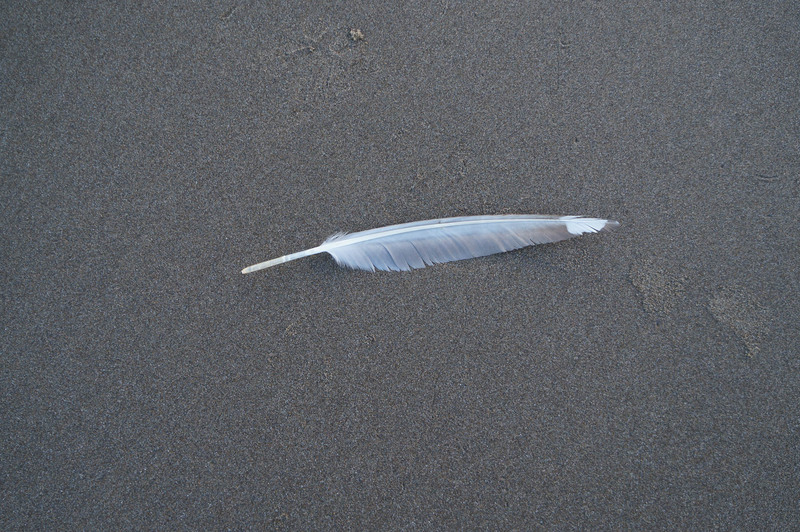 An occasional encounter with a stray feather. 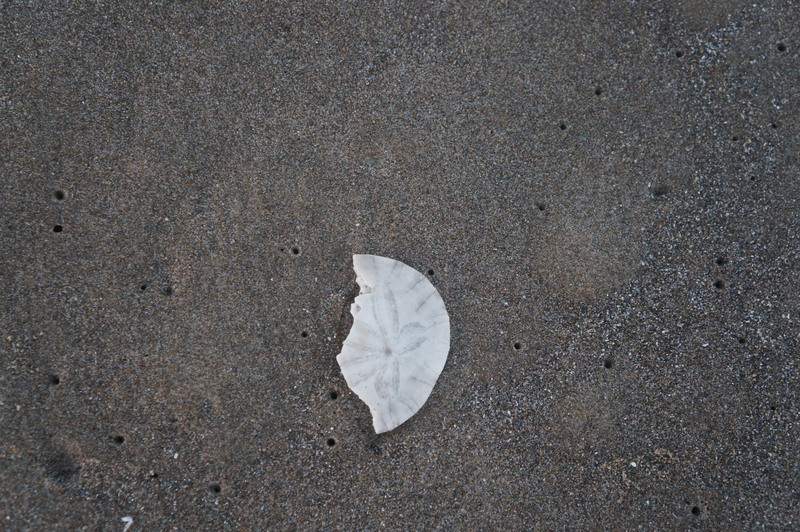 Most of the sand dollars did not weather their trip to shore well. However I did find even the damaged ones to have unique qualities. I did have the good fortune to discover a few, large and small, still intact during the early morning walks. Those have relocated to Colorado as guides for future works. Me on the left with Linda Steider on the right. I finally got to meet this wonderful, creative spirit in person. 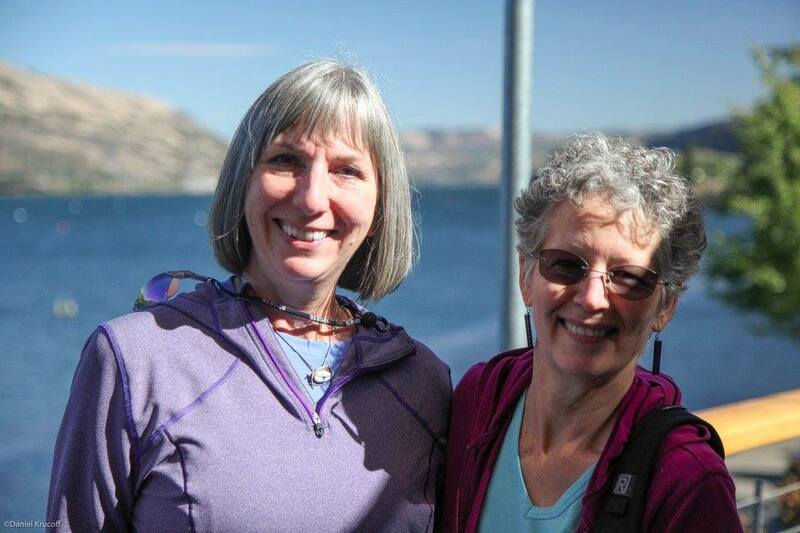 My friend, Linda Steider, who inspires on so many levels. We have known each other for a long time and stay in touch through Facebook and our respective blogs. She is a very talented glass artist and photographer. Linda graciously offered to spend a day with us & shared parts of her world she thought we would enjoy. We did and are so grateful for her generosity. I encourage you to check her blog and see all the wondrous things she captures in her photography. 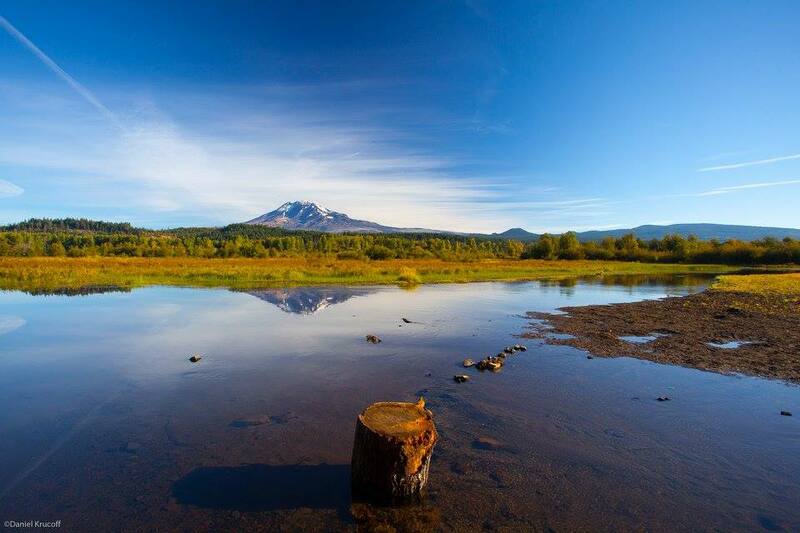 Thanks to Linda, we got to see Mt Adams, enjoy lunch along the Columbia river and even an ice cave where Dan captured this next photo. 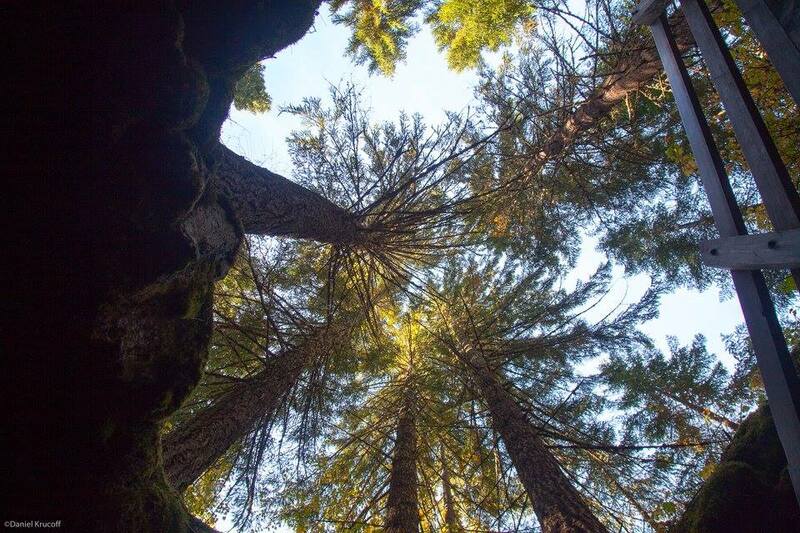 Dan had to lay on his back to capture this view of the trees. I just love it; reminds me of what I try to do with my Treescapes series. 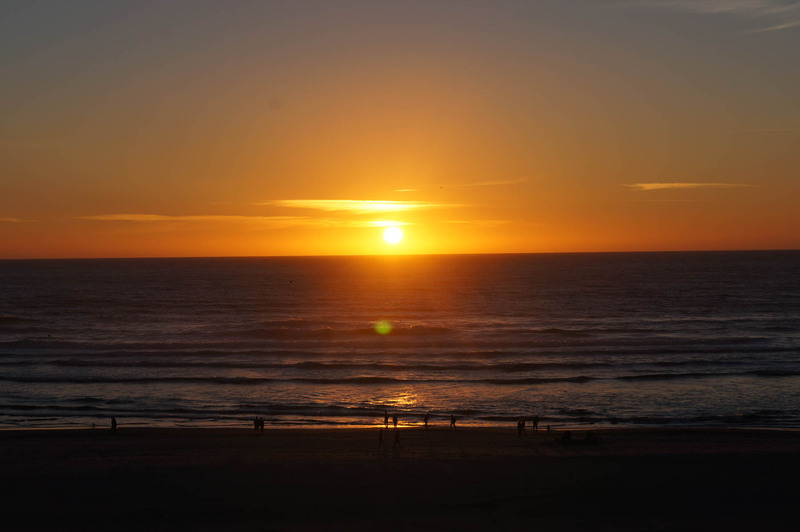 Sunset on our last night at Cannon Beach. Just spectacular. While we were at the ocean, we only turned the TV on once for a bit of morning news. The rest of the time, both of us were completely captivated by the sound of the waves, the gulls and the tranquility of being there. Right now I feel like I am in percolator mode. My senses were overwhelmed at times and I did my best to drink it all in. How this will manifest in my work remains to be seen. I am ready. This past weekend was the last weekend for the Becoming Van Gogh exhibit. My friend, Nancy Bonig, told Dan & I this was a must see and so we bought tickets. Saturday, January 19th, Dan & I enjoyed our Art Date. It was a very special day that both of us thoroughly enjoyed. I hurriedly jotted down a variety of Van Gogh’s quotes. It was a fascinating journey of his brief artistic time….just 10 years. To see where he started at age 27 to where he evolved at age 37 was more than impressive. I was deeply moved by one of his last paintings, completed just two weeks before he died. After seeing some of Van Gogh’s works in person, hearing his story, and seeing his growth, I find myself wondering what seeds may have been planted that will cause my work to grow and change. Before we left the museum, we stopped at the gift shop because I wanted to see some of Nancy’s works. Her beautiful glass work tends to sell out quickly and I wondered if we would even be able to find any. Fortunately, there were a few of her pieces and a couple of my favorites that she’s just started are those of the Denver skyline. 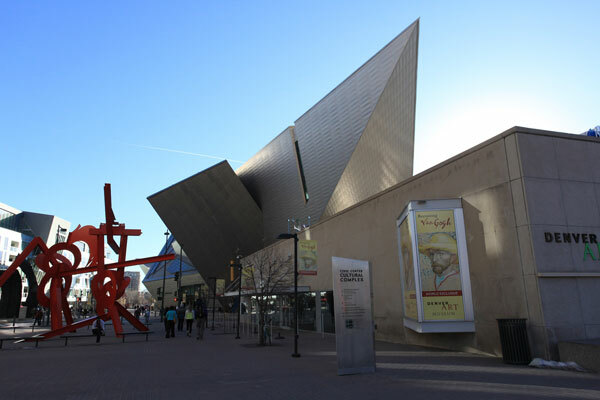 After we left the museum, we walked around downtown Denver, Dan taking a variety of photographs, one of which is pictured at the top of this post. We enjoyed an early dinner at Maggiano’s Italian Restaurant before we headed home. I find it so important for Dan & I to have these types of Art Dates. It’s a great time for both of us to discuss our respective work, future plans and more. Do any of you have regular Art Dates? I certainly hope so, the benefits are priceless. 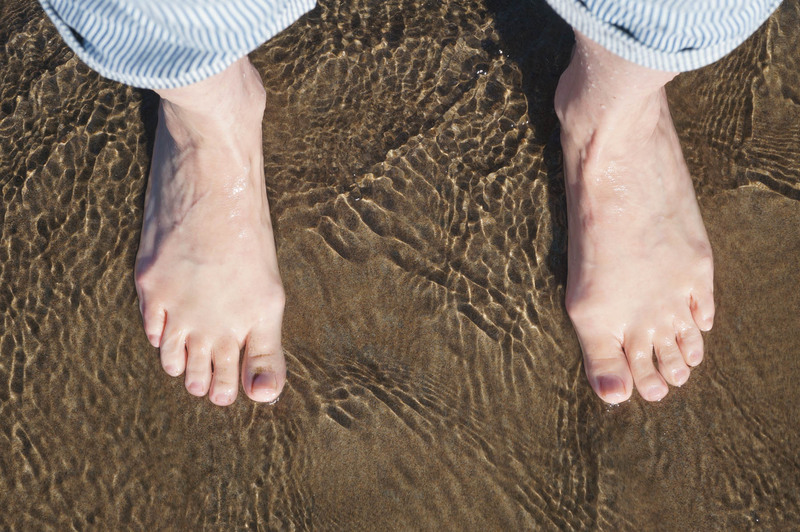 I have some great news to share…. Dan is a Featured Artist at Whopple.com. You can read the interview here and see some of his latest photographs from our trip to Estes too. I think it provides some interesting insights into his approach to photography, along with his inspirations. Hope you enjoy. I’m so proud of him!!! !